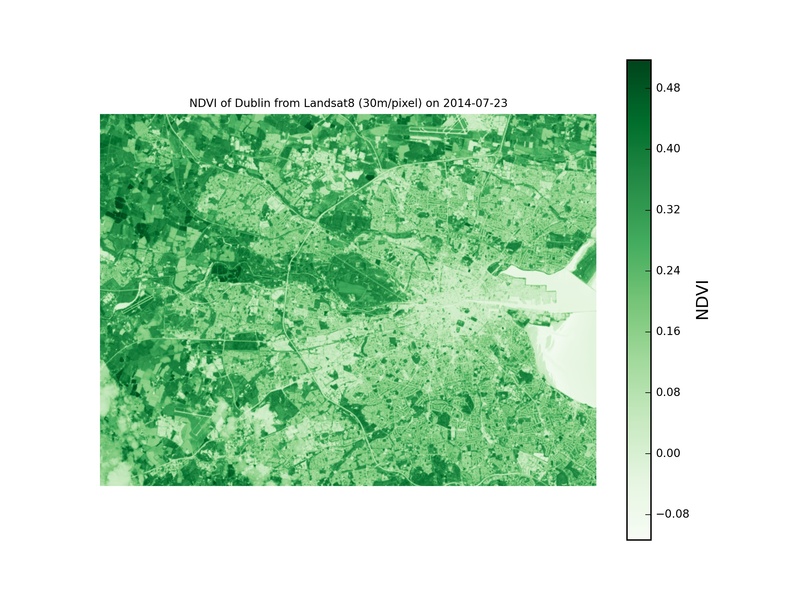 I got a little distracted today, but in the hopes of using procrastination time positively I wrote a python script that takes LANDSAT8 data as an input and returns NDVI of a bounded box. I generalised it so it can be used anywhere, ask if anyone would like to use it! Good fun and good practice, don’t want to let my coding chops go to waste 🙂 Picture below is a jpg, obviously pretty heavily downsampled from the original!